How would it feel to build homes for other people on land that had been taken from you? That bitter toil is the daily reality for the thousands of Palestinians who are working to build illegal Israeli settlements. It is a job that requires a disavowal of their legal rights and comes with little to no job security, low wages, and dangerous working conditions. 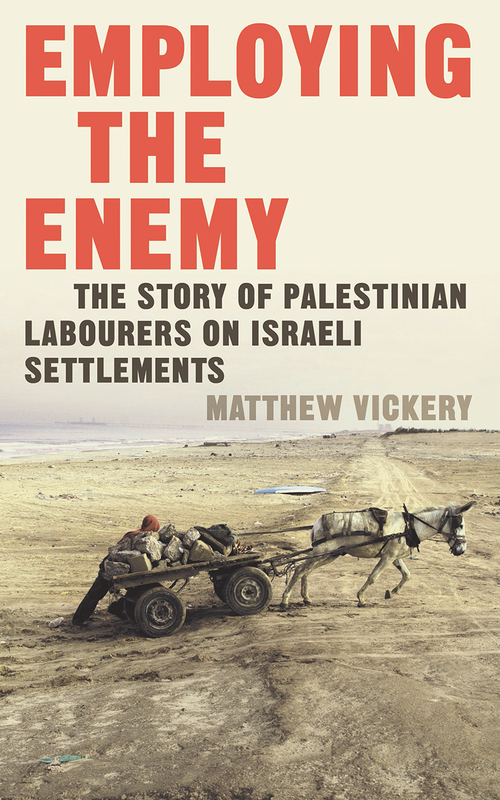 Through a vivid and moving narrative, Matthew Vickery introduces us to the Palestinian workers who fill these harrowing positions. Based on conversations with these workers and their families, the book explores the rationale, emotions, and consequences of such conflicted employment. In doing so, Vickery draws attention to a previously neglected aspect of the Palestinian experience and Israeli subjugation. This, coupled with an innovative and groundbreaking analysis of the Israeli government’s role in the settlement employment sector, exposes the true nature of these practices as a new, insidious form of state-sponsored forced labor. Exploring ways that such practices might be challenged, Employing the Enemy paints a powerful picture of how and why people collude with their own oppression, and why a solution to the Israel/Palestine conflict that provides dignity and rights for all is urgently needed.